Christmas comes in February for seafood restaurant chain Long John Silver’s, which is launching a reboot of the iconic brand in 2016. 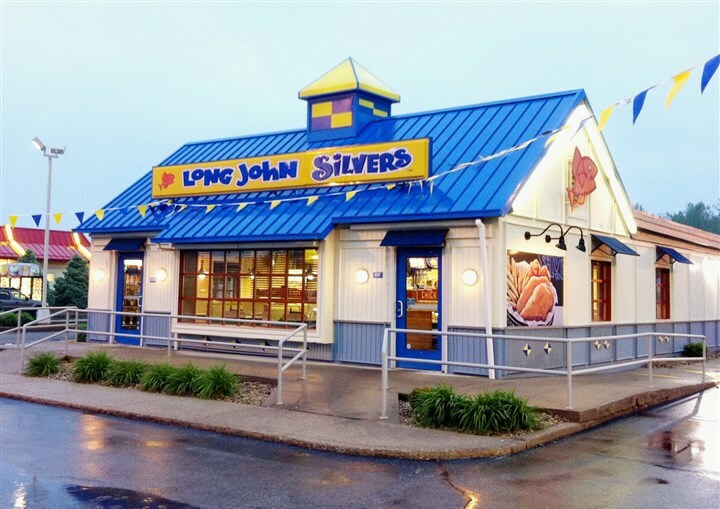 Pittsburgh is front and center for the new Long John Silver’s because of the region’s large Catholic population, the third largest nationwide, according to CEO James O’Reilly. Lent, the 40-day season of penance and avoiding meat at meals, starts Feb. 10, bringing with it boom sales for the privately held, Louisville, Ky.-based company. Pittsburgh and the surrounding five counties have between 500,000 and 600,000 Catholics, according to Pittsburgh Catholic editor William Cone. The newspaper is preparing to publish its annual list of parish fish fries Jan. 29 in preparation for the start of Lent. Mr. O’Reilly was in Monroeville Thursday for a daylong meeting with about 50 operators of its 17 corporately owned stores in the Pittsburgh area and some franchisees from outside the region. He planned to discuss the staffing increases at the restaurants — 300 new jobs are planned — and improvements to stores and parking lots. One thing that won’t change much is Long John Silver’s menu, which has been criticized in recent years as unhealthy for its fat and sodium content. National Public Radio once called Long John Silver’s food a “heart attack on a hook,” but some meals have since been discontinued, as was the use of trans fats. Baked fish options have always been available from the chain and one dinner has just 600 calories, Mr. O’Reilly said. What’s more, consumers can build meals with even lower calorie counts. Having healthier options is key, said Darren Tristano, president of Chicago-based marketing research outfit Technomic Inc. But consumers aren’t thinking of healthy eating when eating out. Mr. O’Reilly, who came to Long John Silver’s in March 2015 from hamburger chain Sonic Corp., takes over the reins at a difficult time as consumers have been shunning traditional fast food in favor of restaurants selling healthier fare. Long John Silver’s, which has about 1,300 stores nationwide, also has had changes in leadership. Mr. O’Reilly replaced Mike Kern, who served as CEO for three years. Mr. Kern was part of investor group LJS Partners LLC that bought the restaurant chain from Yum! Brands Inc. in 2011. The company was founded in 1969 and did not disclose sales figures or the cost of the store upgrades, which are being carried out nationally as well. Consumers will continue to seek out Long John Silver’s food, partly because there are few other places that focus on fried fish, said Warren Solochek, president of the food service practice at Port Washington, N.Y.-based NPD Group Inc. New paint, lighting and other planned store improvements aside, the challenge for Mr. O’Reilly will be to keep the restaurant name in the consumer’s mind. This entry was posted on Tuesday, January 26th, 2016 at 1:10 pm and is filed under health & wellness, Lenten Offerings, Quick Service, Seafood. You can follow any responses to this entry through the RSS 2.0 feed. You can leave a response, or trackback from your own site.